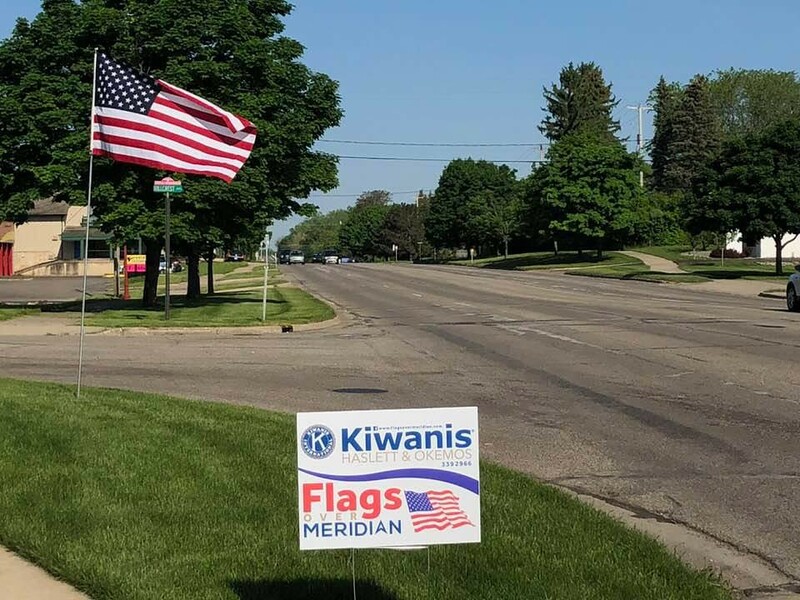 MERIDIAN TOWNSHIP - The stars and stripes on the American flag fly freely in multiple locations throughout Meridian Township thanks to Flags Over Meridian, a project the Kiwanis Club of Haslett and Okemos started in 2012 after being inspired by other Kiwanis Clubs. "We put up flags in front of local businesses and homes," Trustee Phil Deschaine said. "We use this as a way to beautify the community with flags on six different flag holidays: Memorial Day, Flag Day, Independence Day, Labor Day, Patriots Day and Veterans Day." For $36 per flag a year, volunteers install and take down flags for residents and local businesses who purchase them. "People like having these flags put up and taken down for them; it's no hassle for them and they feel great about having the beautiful American flag in front of their home [or] business and it's no sweat for them," Deschaine said. When the project first started, roughly 100 flags were on display throughout Meridian Township. Since then, that number has increased to roughly 750 flags and counting. Deschaine, who said roughly 98 percent of people and businesses renew their Flags Over Meridian membership every year, said he expects there to be over 1,000 flags by 2019 or 2020. "I want to thank the community for being such strong supporters of it and continuing to renew every year," Deschaine said. "About 20-25 percent of our flags are being purchased by local businesses, and we're very grateful for the business community as well." Deschaine, who is also President of the Kiwanis Club of Haslett and Okemos, said Flags Over Meridian wouldn't be possible without Flag Director Tom Haas, who plays a crucial role in organizing this project. For everyone who purchases a flag, Deschaine hopes they feel proud to be an American. "The United States is still the great shining light for the world and the oldest living democracy," Deschaine said. "We have our issues, but certainly we still continue to prosper as people. We hope [residents and local businesses] feel really great about being a citizen of this country. Also, we hope they feel good about our community and how these flags make our already beautiful community even more handsome for the holiday. 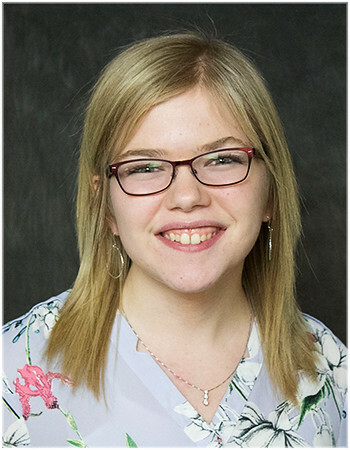 It's really meant to give people a sense of being proud to be an American, how great our community is and to also feel like, 'Hey, I made a difference with helping Kiwanis to help people who need a little extra help in this world.'" It's not too late to purchase a flag and have it installed by Memorial Day. People can either call 517.339.2966 or go to www.flagsovermeridian.com. Money raised from Flags Over Meridian will be used to help fund other projects sponsored by the Kiwanis Club of Haslett and Okemos, with a focus on youth programs and helping at-risk youth in Haslett and Okemos schools.